Looking for a healing Friday night experience that's also fun? 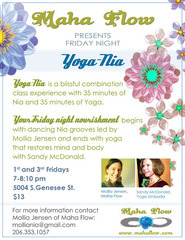 Check out Yoga-Nia. Everyone who has experienced the class has a happy afterglow. Yoga-Nia is a combination class experience of 35 minutes of Nia and 35 minutes of Yoga with two teachers and a warm, welcoming environment. 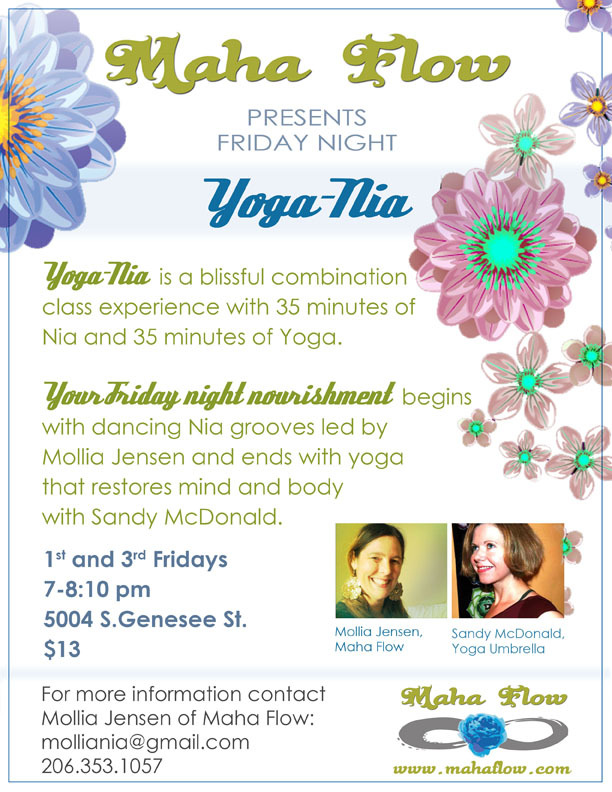 This class happens every 1st and 3rd Friday night in the Dojo at 5004 S Genesee St. mahaflow.com for more details.